This is the year of Marvel's women, and the Official Handbook of the Marvel Universe is joining the celebration with this collection of profiles of the brightest female stars in the Marvel firmament! This encyclopedic volume covers the entire span of Marvel Comics and features hundreds of eye-catching characters! Entries include the good (Aurora, Big Bertha, Dazzler, Psylocke, Squirrel Girl), the bad (Hela, Moonstone, Selene, Titania, Viper) and everyone in-between (Gamora, Millie the Model, May Parker, Valeria Richards, Typhoid). 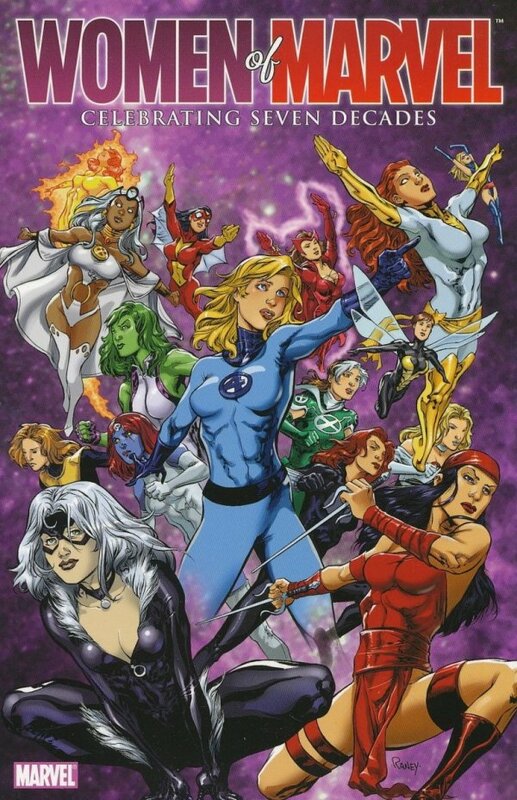 This is a vital resource for any fan of the Women of Marvel!